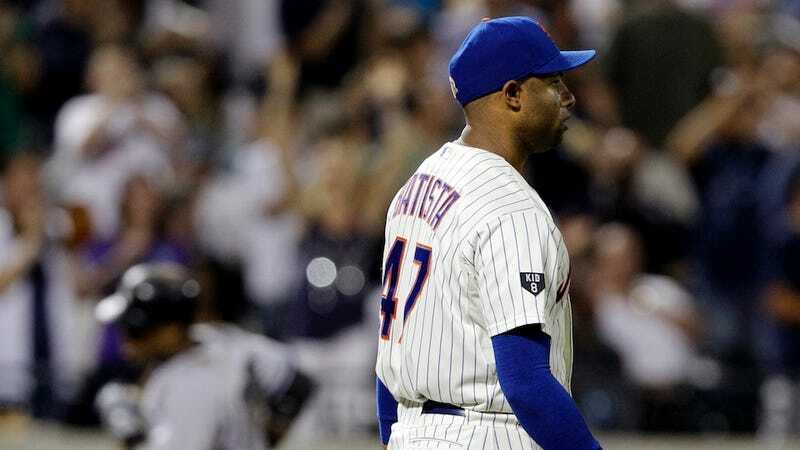 To be fair, he never really was on the best team in baseball, but the Mets designated Miguel Batista for assignment on Sunday morning. Manager Terry Collins hopes Batista clears waivers and accepts an assignment to Triple-A Buffalo. The team dumped him to make room for reliever Elvin Ramirez. Batista served little use on the big-league roster. He was brutal as a reliever. He proved ineffective in a spot start on Saturday.